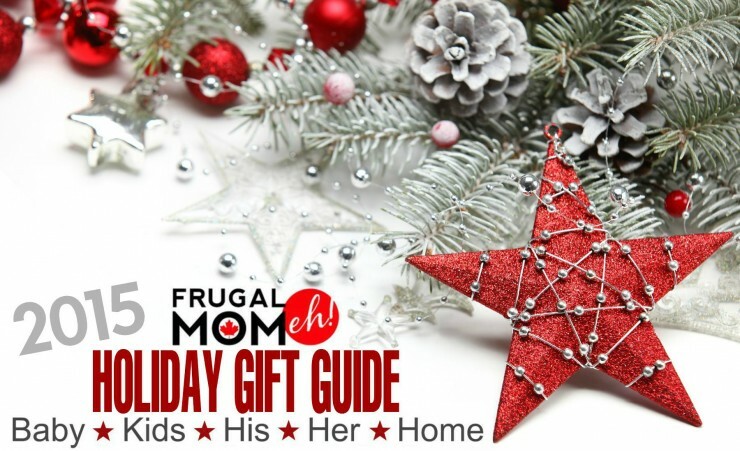 Our Generation Gourmet Kitchen Set & Deluxe Jenny Doll #FMEGifts2015 - Frugal Mom Eh! Keira has had her Holly Our Generation doll for a year now and she has pretty much become part of our lives. Holly got a tent camping set from us for Keira’s birthday and that is where she goes to sleep at night. Keira is careful to tuck her into her sleeping bag after getting her into her pj’s. She loves brushing Holly’s hair before bringing her out to play. Now Holly has a new friend – Jenny! Jenny is a beautiful 18 ” poseable Our Generation doll from their Deluxe collection. 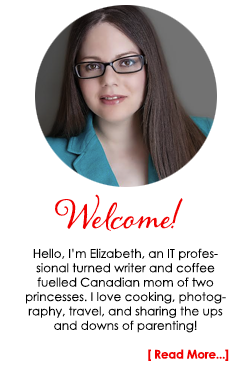 She wears an apron with ruffles over a denim skit and blouse along with matching red shoes. Her hair is dark blond, long and wavy, and comes tied back with red ribbons – a perfect complement to her gorgeous green eyes. She is ready to get baking with her pair of oven mitts, chef bag, whisk and mixing bowl! She also comes with a cupcake tray, 4 cupcakes, an icing tube, a sketch book, and an OG story book “The Sweet Shoppe Mystery” and bookmark. At first Keira said that Jenny could be Ava’s doll but I hadn’t even gotten around to unboxing her before Keira decided that Jenny was going to be Holly’s best friend. Which of course meant Jenny had to be her doll. Keira couldn’t wait to play with Jenny, and kept telling me she wanted to make cupcakes with Jenny and the Our Generation Gourmet Kitchen Set. The Gourmet Kitchen set is just an incredible toy. It’s perfect for both preschoolers and for older children who have perhaps outgrown their own toddler oriented kitchen sets. 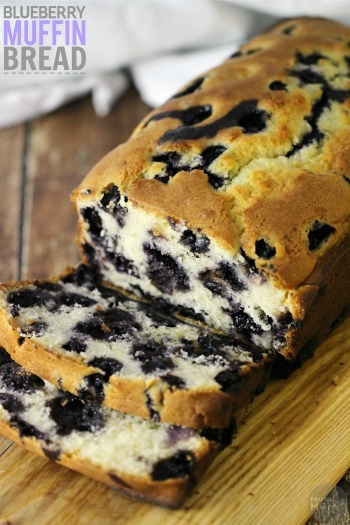 It is quite detailed and comes with a variety of accessories including a large mixing bowl, baking pans and sheets, canisters with lids, glasses, a measuring cup, measuring spoons, a mixing spoon, a phone, a pitcher, a plant, plates, a pot, a spray bottle, a spatula, a sponge, and more. 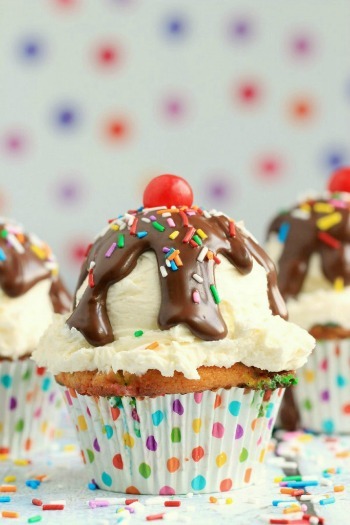 The kitchen also includes a variety of different food items including cupcakes, muffins, cheese, sandwich triangles tin cans, vegetables, and more. There is even a box of hot chocolate with 6 individual hot chocolate packages inside! This set is really high quality with lots of thought put into the design. The clock opens for more storage as does the microwave, dishwasher, stove and heating drawer. The best part though is that Keira actually enjoys cleaning Jenny’s kitchen. She makes a huge mess playing with the set, especially when her little sister gets involved in play, but she delights in cleaning it all up again and putting everything in it’s place. So much so that she always has me come look at how neat and tidy she has gotten it! I have yet to be disappointed with Our Generation and judging by the way Ava keeps stealing Jenny to play with, I think I’m going to be picking up one of her own to play with. 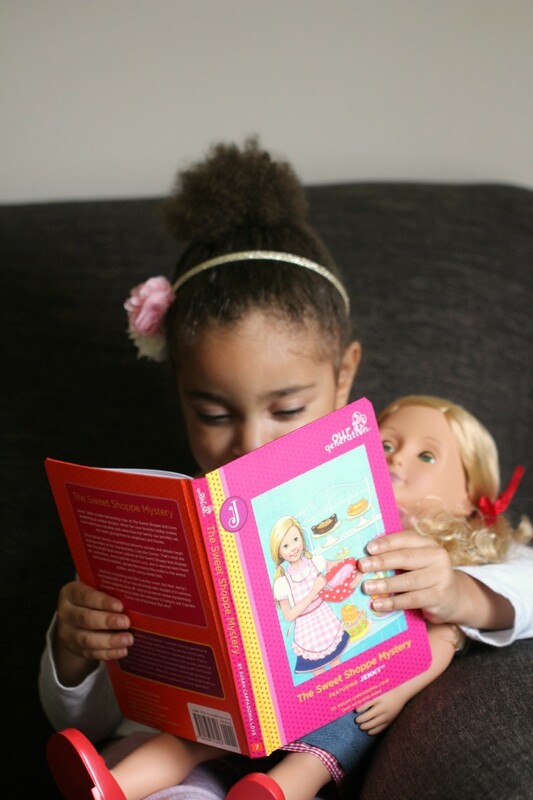 I’m really loving the Kaylee doll as she looks like she is mixed race, just like the girls. 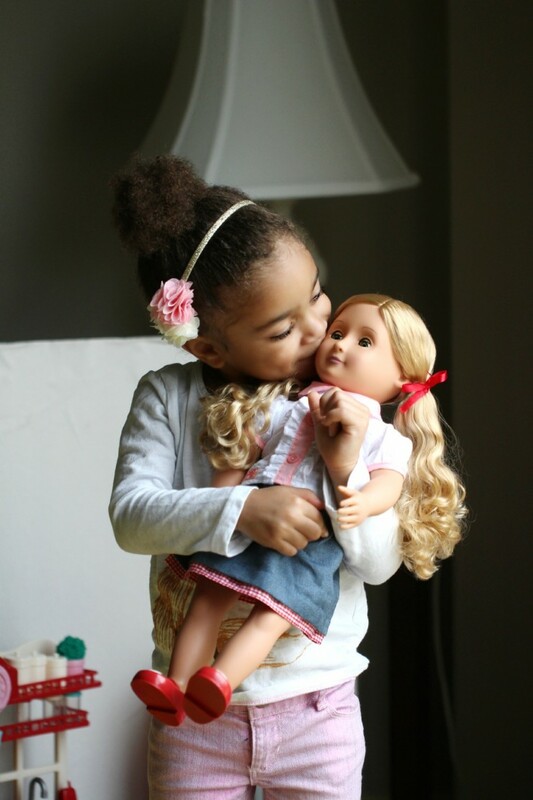 It will be nice to have a doll they can play with who looks a little more like them, and it’s surprisingly hard to find dolls that represent mixed race girls! One more reason to love Our Generation a little more. Our Generation dolls and accessories are available at Mastermind Toys in Canada or you can order from Target.com and ship to Canada. Disclosure: I received the above mentioned product in order to facilitate this review. All thoughts and opinions are honest and my own. 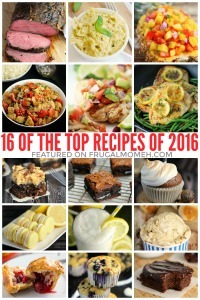 That is a great kitchen toy – my niece would have a blast with Jenny and her Kitchen! Would be the perfect Christmas present for her! What a cute dolly! I am sure my nieces would love her. That is so cute! I love this! 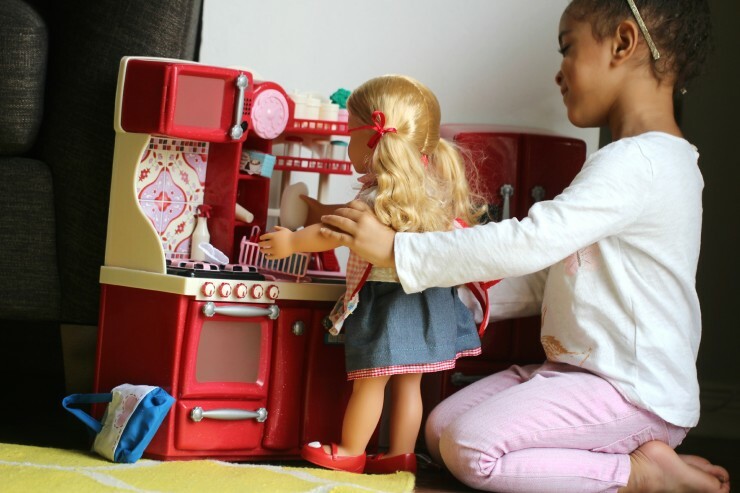 It’s got the best of both worlds – a doll and a kitchen set. My girls would have loved this when they were young. 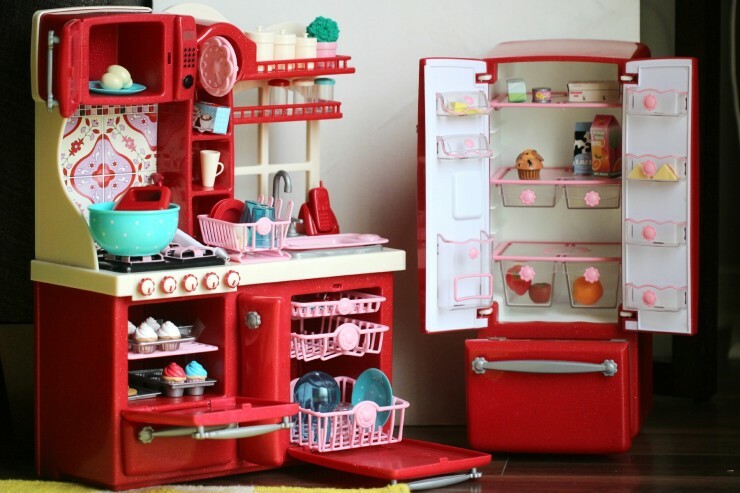 They’ve always loved dolls AND kitchen sets. Santa Claus brought my girls new Our Generation dolls, clothes, a diner set, and an awesome car last Christmas. They are some awesome dolls! My daughter loved dolls like this when she was younger. She would have gone nuts over this set! Aww you can tell Keira really likes the new doll. 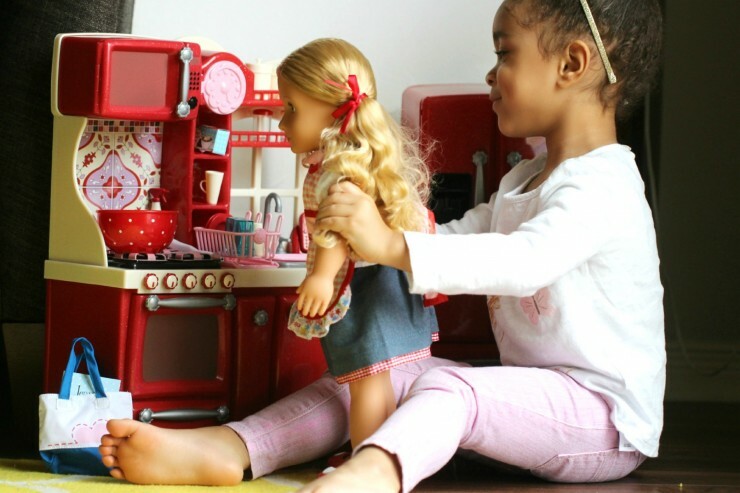 It must be so much fun for them to play together in that incredibly detailed kitchen. 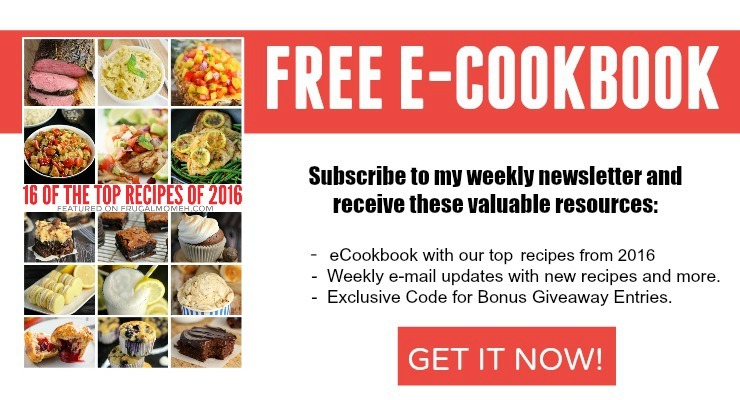 What a great holiday gift! 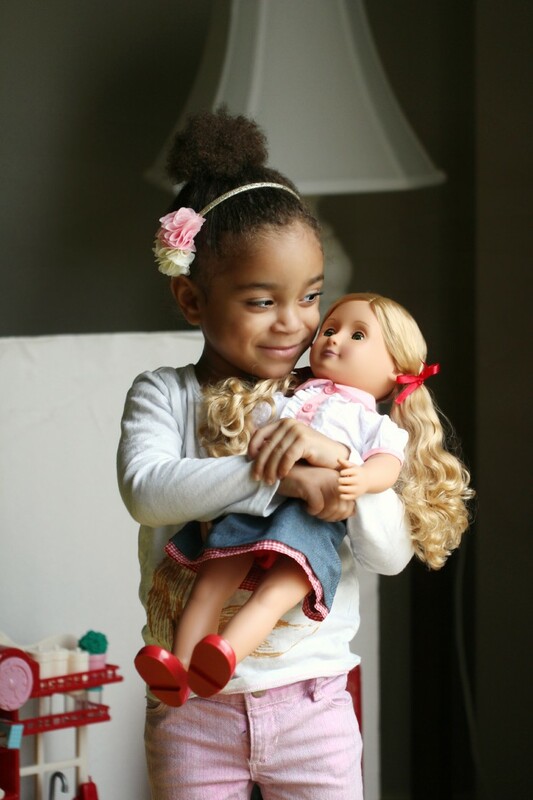 I love seeing little girls with their dolls! That looks like such a cute doll and kitchen set. My daughter would love it. Wow that is some kitchen. I would have loved to have that when I was a little girl. This will make lots of little girls very happy this holiday season and give them hours of fun. What an adorable kitchen toy set. My twin granddaughters will have so much with this. This looks so fun. I think my two girls may be a bit too old for this but I am sure my baby cousin would love it shes 2 and into dolls like I used to be as a wee one! My girls have been begging me for a new kitchen set that has “more”. This would most certainly fit the bill. Oh my word! 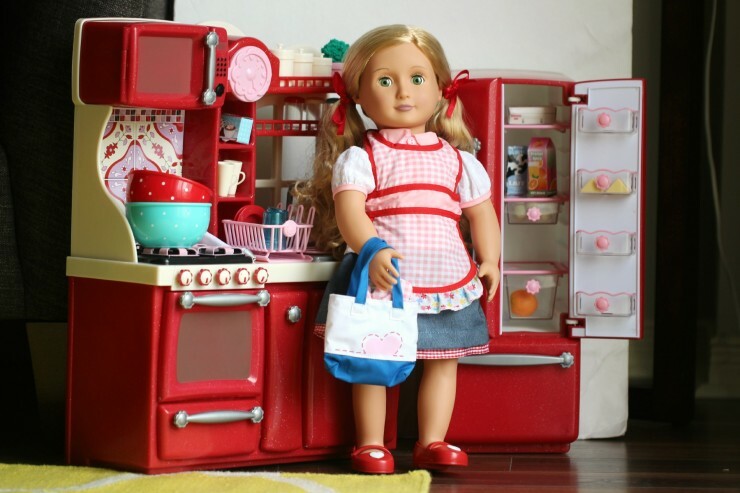 That kitchen set is adorable… such a sweet gift for the holidays. 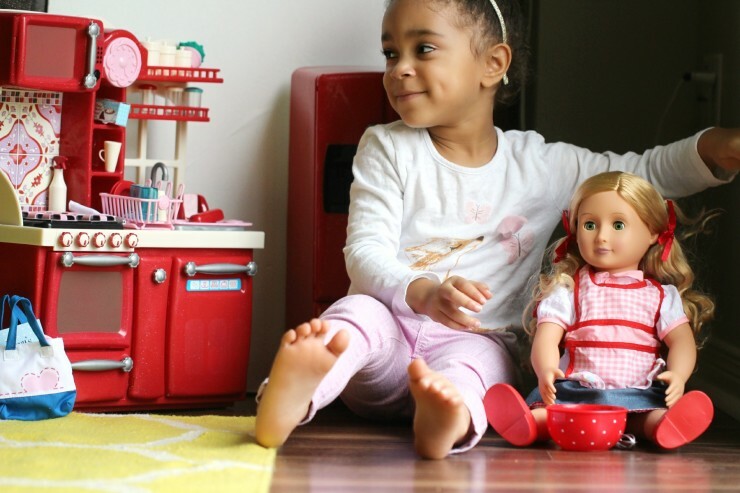 Kiera looks absolutely happy with her cute doll & The Gourmet Kitchen set is a great addition to add more excitement & fun. My kids would be in love with one such set for sure.